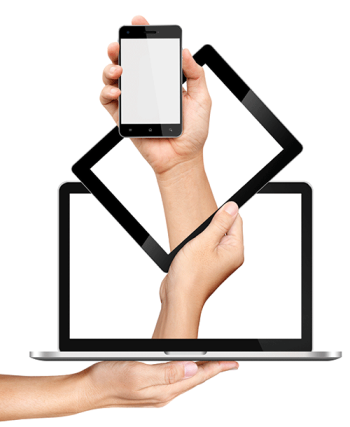 Does your website pass the Responsive Website Test? Is it developed to be responsive on multiple platforms? Is it legible on your smartphone without the need to zoom in? Try THIS TEST to see if your site is set for mobile display. Go ahead and check…I’ll wait. This is IMPORTANT! Nowadays, a majority of information is gathered via our mobile devices rather than computers. Your site must be legible on every device – smartphone, tablet, laptop, desktop – without the need to zoom in. If a potential client cannot access your site from their smartphone, they will move on to your competitor’s site! Non-responsive sites (not mobile friendly) are being penalized by search engines such as Google. Non-Mobile sites are being ignored by search engines. A site that is set up for simple, minor revisions IN HOUSE – And we can train you! CLICK HERE to download additional information about the Designer Mouse Web Design Process .